2007 Kimi Raikkonen signed Ferrari Photo. This is a great shot Kimi in his typical "press conference pose". 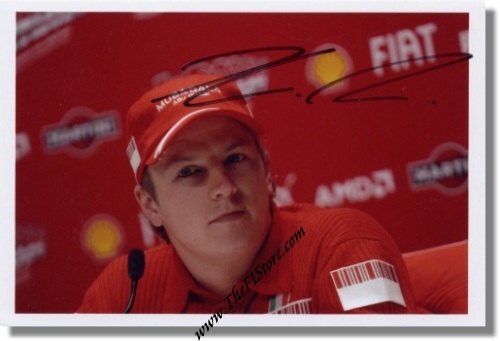 It measures some 15 x 10 cm or 6 x 48 inches and has been personally signed by Kimi with a black marker. Only a few available as every autographed item is of course unique by nature.